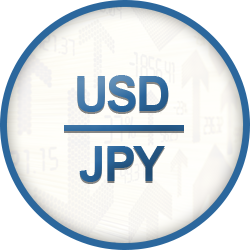 One of the Majors, the USD/JPY pair comprises of the currency of the USA (U.S Dollar) and the currency of Japan (Yen). Any currency pair consists of a base currency (in this case, the US Dollar) and a quote currency (in this case, the Japanese Yen). The currency pairs which form the Majors group amount to roughly 85% of all currency trading conducted every day, illustrating high levels of market liquidity. This signifies that large amounts of these currencies can be sold without drastically influencing the value of the currency. This is the reason behind large-scale binary options traders choosing to conduct their currency trading with major pairs, coupled with the fact that the Majors offer better profit margins and a minimized loss risk. The majority of binary options brokers will commonly adopt a similar preference for the Majors and choose to deal with them exclusively because the transaction fees come at a lower cost. Although exchange rates are traditionally quoted with one number followed by four decimals (e.g 1.4573), the USD/JPY pair presents an exception in that its format only contains two decimals (e.g 77.52). The currency pair follows this format in order to maintain a level of consistency with other pairs, given that the Yen’s value is relative to one hundredth than that of the other Major pairs; usually reflected when performing a USD/JPY forecast. By altering its market rate format, a certain level of balance is maintained with the other Majors. On this page you can find the live USD JPY chart. Examining any USD/JPY news will also help you make a more informed USD/JPY forecast and will increase your chances of making profit when performing currency trading.